The civic and commercial heart of Tucson is also its soul, with SunLink running right in the middle of the action. Tucson grew upward and outward from this compact district east of the Santa Cruz river, and it was establishing its stature as a place of consequence for a couple of centuries. Culture, commerce and conflict shaped the city, its people and its urban form. Native American nations tamed the unforgiving desert climate and thrived on agriculture and artisanship in the pre-modern era. Tucson still has one of the largest urban Native American populations in the U.S., with the Tohono O’odham and Pascua Yaqui having deep roots in southern Arizona. Tucson’s urbanization began in earnest before the Declaration of Independence, with the Spanish establishing a presidio in 1775. Spain, and then Mexico after its independence, influenced southern Arizona even after the Gadsden Purchase in 1853, making Arizona a U.S. territory. The territorial period put Tucson in the path of the frontier tidal wave and its place in the myth and reality of the Old West. Tucson found its solid economic footing by the time Arizona achieved statehood a century ago, with the biggest boom yet to come in the mid-20th century with the Interstate Highway System and air conditioning creating growth previously unimaginable. They are all visible in a downtown that’s, surprisingly, an urbanist’s dream come true. Tucson, like most Sun Belt cities, absorbed a large population of aspiring suburbanites who wanted their place in the sun. Tucson, unlike most Sun Belt cities, managed to preserve its downtown from the depredations of post-World War II life: wide roads, constant air conditioning, strip malls and chain stores. Tucson saved many of its old buildings from being clear-cut for garages, or worse, surface parking lots. Businesses did not turn their store entrances away from the street. Also, much of urban Tucson was platted out on an orthogonal grid of long blocks and wide boulevards. Downtown maintained its teardrop-shaped boundary and its disharmonious clash of narrow, short-block streets. These are not conducive to fast, efficient movement for motorists — but do create a safe, fun environment for pedestrians — and now, SunLink riders. 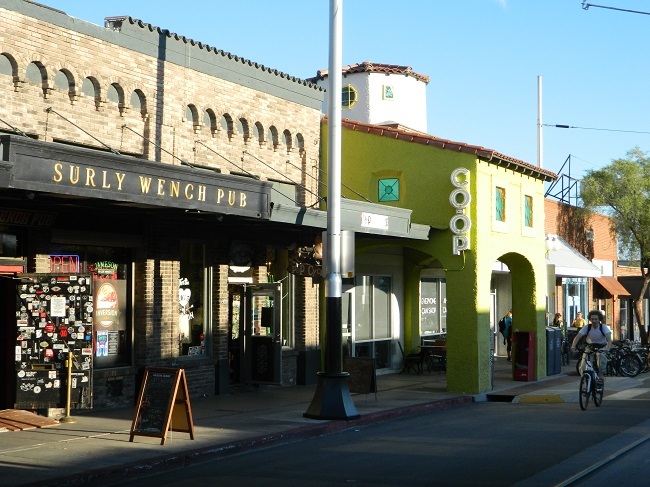 Tucson’s civic leaders and downtown business community pursued a concerted historic preservation policy, all of which bear fruit in an attractive, fun and enjoyable atmosphere for workers, visitors, shoppers and anyone in between. This is how the heart of a city should be, complete with a healthy beat. If you have BOOgiers on your hands, you will want to head straight to the top of the Model Shop this year for an all new Hubble Bubble’s Dance Party where the LEGOLAND costumed witches and Hubble Bubble’s DJ will be playing pop songs like Shake it Off and Happy plus Halloween favorites like Ghostbusters and Time Warp. Disco balls, glow sticks and lasers will light the stage for your little monstars to shake their groove things all night long. For those of you who have kids that don’t want a full-on, nail-biting fright-fest, this is the place for you. The atmospheric performers are perfectly placed and choreographed so that you see every sight and sound imaginable, (i.e tap dancing skeletons and a drumming mad scientist), but no one will be jumping out from behind a LEGO® Model making you wish your kid was still in diapers! LEGOLAND California at night, with all its themed lighting and décor is unbelievable. Even though I used to work there and have been to BOT every year for the past 12 years, I am wowed every single time I attend a Party Night at how well the Park is lit and how much I feel transported to LEGO version of Transylvania. The “Spirits of Halloween Light Show” is not to be missed. At various times throughout the night, guests have the opportunity to watch a canvas transform in minutes and essentially come to life with an eerily themed image with only a few crazy splashes of an artist’s paintbrush. It is called Art Attack and floors me every time. The BOT trail always offers a perfect trick-or-treat combination of yummy treats, healthy options, and something fun to take home and enjoy. This year will be no different, but they will also be giving out commemorative bricks and CHIMA Speedorz® which are sure to be the biggest hits of the night with true LEGO fans. You have 6 nights to party at LEGOLAND California this October! Be sure to check out the BOT EVENT GUIDE for full details. Ouch! To add insult to injury, the 2008 comedy film that hatchets Tucson was not even filmed in the city, but in Albuquerque, N.M.
For anyone seeking outdoors adventure, authentic history, a pedestrian- and bike-friendly urban core, adventurous food, great microbreweries, lively music, fine arts or a college town atmosphere, Tucson is a dream come true. In the end, Tucson laughs last and laughs best. The city is a cauldron bubbling with hipness, yet has flown under the radar of the new or old media cognoscenti who can call something cool and have the street cred to make it stick. Tucson has laid the tracks — figuratively and literally — to stake its claim to greatness. 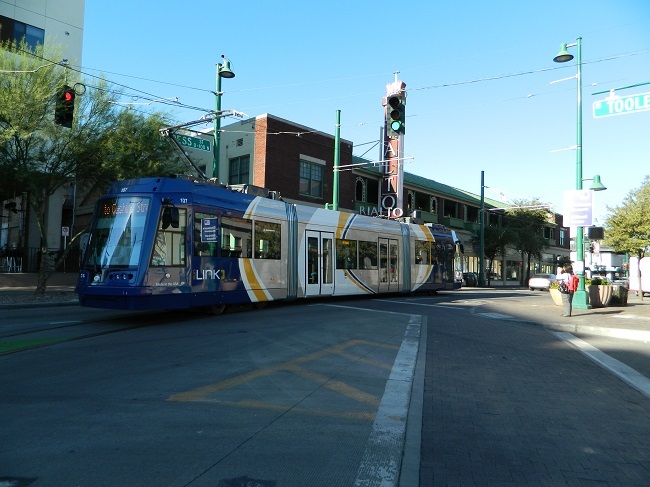 In July, Tucson joined the U.S. urban rail renaissance with the inauguration of SunLink, a modern streetcar line connecting downtown, the Fourth Avenue business district and the University of Arizona. It is barely 4 miles long, but SunLink makes up for its narrow reach by putting riders within footsteps of cultural attractions, vibrant businesses and scholarly resources. First, it is important to distinguish a streetcar like SunLink from light rail. Casually, “streetcars” or “trolleys” and “light rail” are thought of as one and the same, but similarities end above the steel wheel. Light rail, such as Los Angeles’ Metro Rail lines or the San Diego Trolley, typically has stations spaced about a mile apart, has higher speeds to serve longer-distance travelers and has exclusive rights of way. Streetcars, on the other hand, are more like city buses on tracks. They travel at lower speeds, have closely spaced stops or stations, and the tracks are shared with motorists and cyclists. SunLink’s fares are $1.50 for a single ride or $4 for an unlimited-ride day pass — identical to the buses of the streetcar’s operator, SunTran. Fares are purchased from vending machines at the stations and loaded on SunGO cards. The cards must be validated on readers aboard the streetcar and presented to roving fare inspectors as proof of payment. The SunGO cards are also valid on SunTran buses. Streetcars serve as a movable urban amenity rather than a utilitarian mode of transportation. SunLink, like the modern streetcar systems in Portland, Ore.; Seattle; Tacoma, Wash.; and Washington, D.C.; showcase distinctive neighborhoods or business districts — and prime the pump for attracting residential, commercial and retail development. Tucson leaders hope SunLink serves as the catalyst for more residences, businesses and shops along the route, though that would just be icing on an already rich cake. There’s plenty to see, hear, taste, touch and experience at every SunLink stop and the three destinations along the line. Savor Santa Barbara’s cuisine, libations and culture with epicure.sb this month. Restaurants, tasting rooms, museums, hotels and more have come together for the month-long celebration. This annual gastronomic event returns for its sixth year with a new theme: epic-scoop. Visitors can now experience the bounty of Santa Barbara County as a local would, with 90 offerings including 54 events and 26 special menu’s – and all of this over 31+ days. With so much to do, pack your bags and stay awhile with 13 epicurean inspired hotel packages. Grab your fork and spoon, as we are giving the epic-scoop to access special offerings, exclusive prix fix menus, secret menu items & libations, specialty tastings, VIP experiences, behind-the-scene exclusives, cultural performances, and much, much more! Below is a highlight of recent offerings, for a complete list go to epicuresb.com. Isabella After Hours: Foodie Film Series (Oct. 24) – Enjoy a food-based movie on a large projector screen at Isabella Gourmet Foods, complete with homegrown movie snacks, including locally made popcorn, candies, chocolates, beverages and more. Junior Chef Classes (Sunday’s in Oct.) – Hey, kids! Let Williams Sonoma at La Cumbre Plaza show how fun and easy cooking can be. Kids will learn to make delicious recipes, with plenty of tasting along the way. Featured Dish & Cocktail at Four Seasons (Oct. 1-31): Experience the best of Santa Barbara cuisine at Bella Vista, featuring a special Uni appetizer with indigenous Santa Barbara ingredients. After, head to Ty Lounge for a libation inspired by Santa Barbara’s Spanish heritage, the Peña Flamenca. Savor the Sauv (Oct. 1-31) – Mention “epic-dish” at Grassini Family Vineyards for a special tasting flight of library and reserve Sauvignon Blancs along with a Meyer Lemon truffle, paying tribute to a local fruit flourishing on Santa Barbara’s hillsides. Sideways 10th Anniversary Hitching Post Wine Flight (Oct. 1-31): At Hitching Post II, local favorite and featured restaurant inSideways, enjoy a flight of 3 signature Highliner Pinot Noirs that commemorate the wine in the cult film that helped put Santa Barbara County wines on the map. Kids are free in San Diego again this year! During the entire month of October, kids eat, stay and play for free throughout San Diego. Take advantage of great deals at over 100 participating partners and get ready for the ultimate family vacation. ↓ Browse through the offers below and plan your Kids Free in San Diego vacation. As the flavors of fall arrive in Northern California’s Mendocino County so does the annual crop of coveted candy cap, chanterelle, porcini and morel mushrooms. Straddling historic Highways 1 and 101 with nearly 2,500 sq. miles of live oak, pygmy forests and stately redwood groves, the region is a natural hotspot for some 3,000 mushroom varieties. The annual haul is nothing short of historic, nurturing nirvana for local mycologists, chefs and fungi foragers. Add to the mix a cache of artisanal chefs, 95+ wineries, a formidable craft beer and hard cider scene and the annual salute to Mr. Fungi sprouts into action November 7-16, 2014 www.visitmendocino.com/mushroom-wine-and-beer-festival; 866.466.3636. Visitors can tap into a variety of adventures from mushroom hunts by horseback, foraging excursions, Pinot and porcini menus, educational seminars, art exhibits and the annual Skunk Train trek and cook-off deep in the depths of the Noyo River forest. 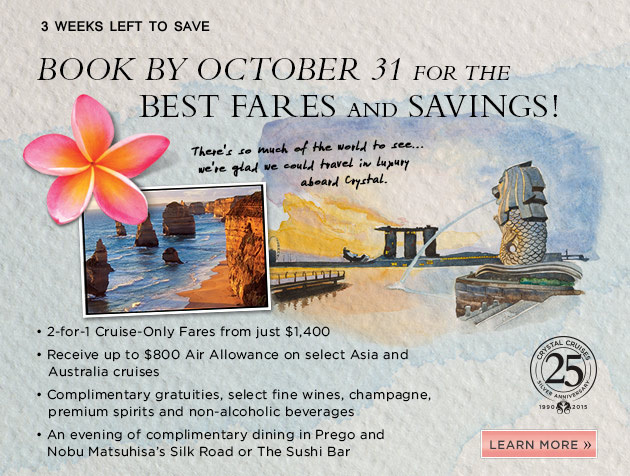 To cap the event, regional hotel properties and restaurants are offering special menus and packages throughout November. “Mushroom Hunt” horseback rides every day during the festival. Equine, wine & hotel packages also available. Ricochet Ridge Ranch, Fort Bragg; 707.964.9669; www.horse-vacation.com. Put the fun in “fungi” with daily bike tours through the local forests in search the magical mushroom. All levels, rentals available. Nov 8/9 and 15/16. Mendo Bike Sprite, Fort Bragg; 707.962.4602;www.mendobikesprite.com. Join staff mycologist Mario Abreu for a series of mushroom workshops and walks at the Botanical Gardens. Daily. Fort Bragg; 707.964.4352×16; www.gardenbythesea.org. Daily tours from beach to bluffs traversing 100,000 years in geology on each of the five terraces. Forage for fungi enroute. Jug Handle State Reserve, Caspar; 707.937.5804; www.jughandlecreekfarm.com/staircase-trail. Join local mycologist Adrienne Long for all things mushroom at the Stanford Inn before heading out to the forests and meadows for a full immersion. Daily. Stanford Inn, Mendocino; 707.937.5615;www.stanfordinn.com. Hyatt Regency Santa Clara is winding down its summer offerings with the Great America package, which is available through Nov. 2. Designed for those who want the ultimate in convenience to one of California’s best amusement parks, the Hyatt Regency Santa Clara’s Great America package features a guest room for up to four people; two general admission tickets to Great America*; one kid’s welcome pack upon check in; complimentary guest parking; and late 2 p.m. check out. The special rates start at only $159. *Additional general admission tickets are available for $40 at the hotel’s front desk. In addition to the hotel’s Great America Package, the neighboring amusement park also winds up their 2014 season with the Halloween Haunt from now through Nov. 1. For more information on Mazes & Scare Zones as well as Live Shows and the Fright Lane, check outhttps://www.cagreatamerica.com/things-to-do/halloween-hauntfor deals and full list of activities. The Great America package is available based on availability. Reservations must be made in advance. Rates will vary according to dates of travel and certain restrictions apply.